Use this Checklist if you’re researching your ancestors in a Foreign country. 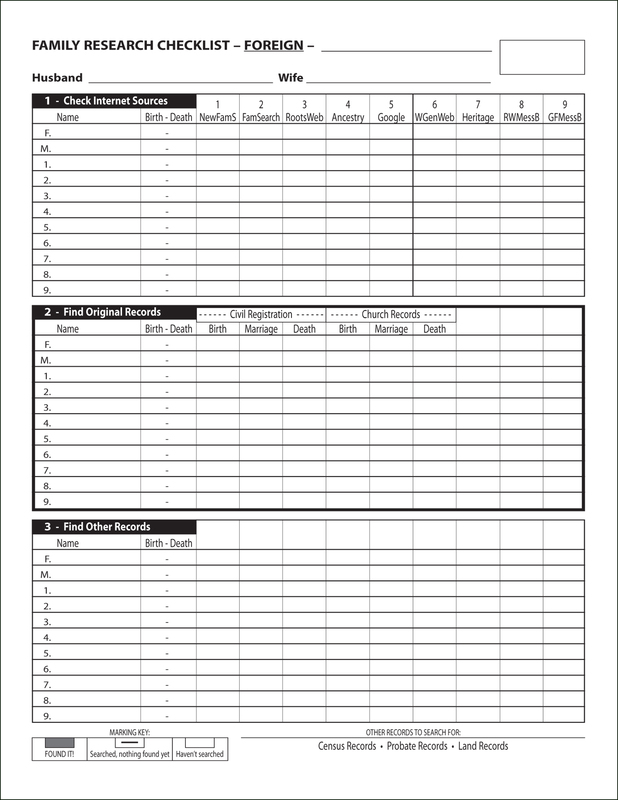 You can fill in the blank columns with whatever records might be available for the country in which you are researching. To get your Country of interest added to the list, simply email fhcbob (at) gmail.com and we'll add it to the list within a few days.